At least the cake was salvaged! You should post a photo up of what you made it look like in the end and I bet we wouldn't even be able to tell what happened - still perfect looking! Happy birthday to mumma raspberricupcakes hehe hope she had a fab day! Dropping a birthday cake is the ultimate nightmare, really! Good on you for keeping your head, and for salvaging it in the end - now you have a great story to tell. It came out lovely for the photos. It's great that you were able to eat it after all. 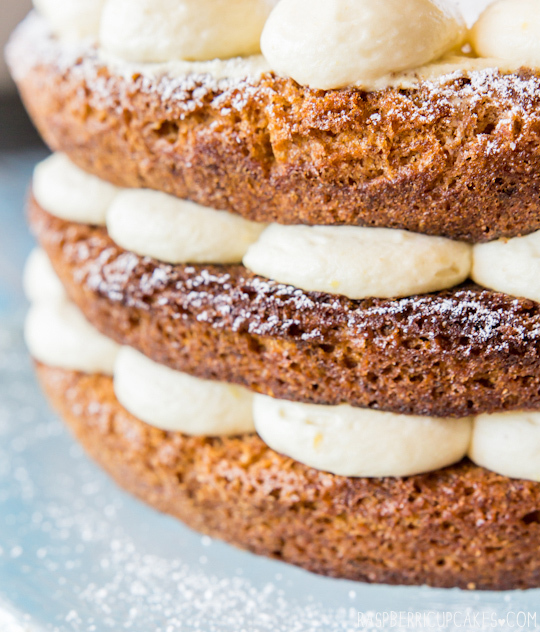 I love mascarpone cheese, and I especially love carrot cake. Happy birthday to your mum! Ermagherd I am torn between horror and laughter at your cake roadkill tragedy! Pesky cake carriers! I bet it still tasted just fine. 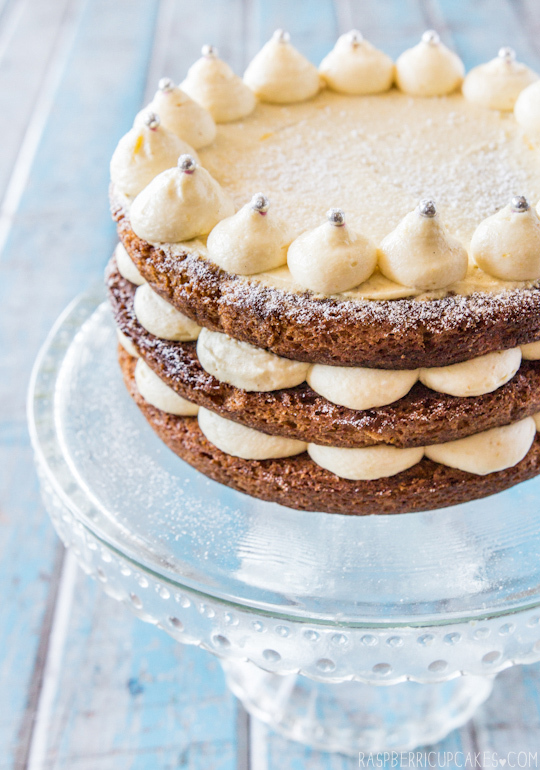 The mascarpone icing sounds glorious. So glad you managed to salvage it! 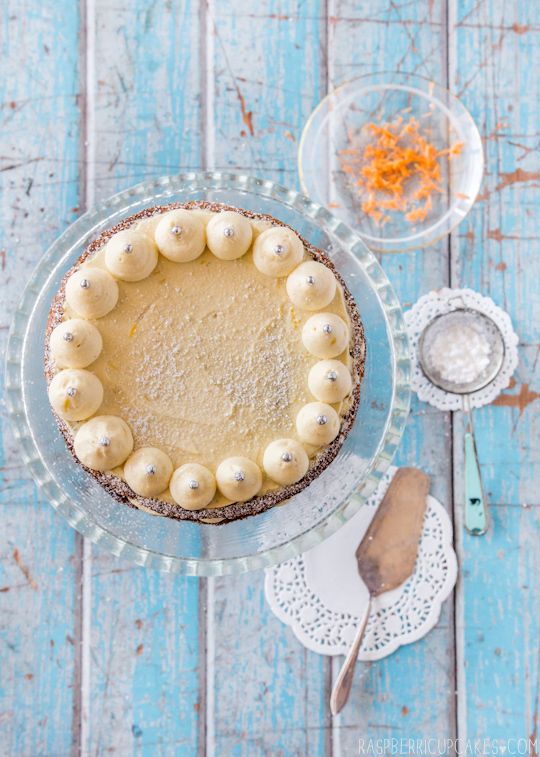 It looks great and I really do love Bourke St Bakery's carrot cake recipe. Hope your mum enjoyed it! Definitely a happier story than when friends of mine drove off without realising they'd left a cream-covered birthday cake in its box on top of their car. A hundred metres or so down the road they heard a plonk and horror crept in when they remembered what it was!. Me too! On Sunday I had a sour cream chocolate cake (smittenkitchen chocolate peanut butter cake recipe) break when I was idiotically passing it between assembly plate and cooling rack and flipping it over. I flipped it over, pressed some broken chunks together and covered it in coffee buttercream. 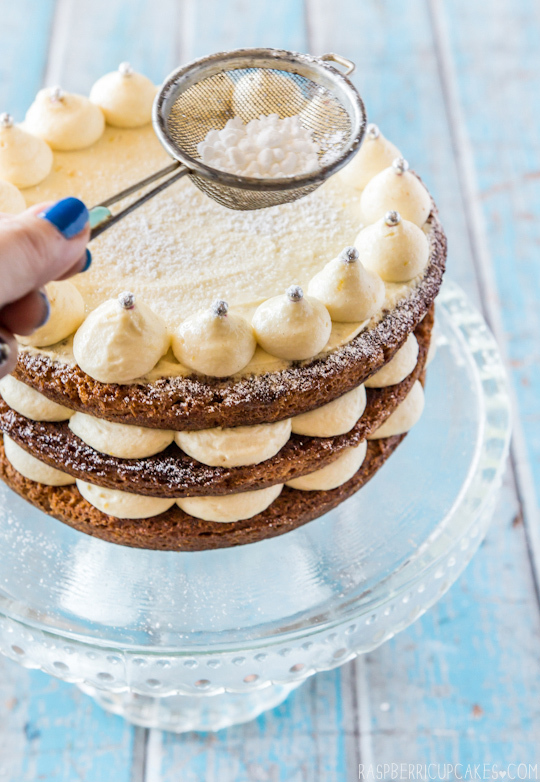 If anyone near you requests a coffee cake, please post about it! Aww. What a shame about your cake especially since it was your mums birthday. 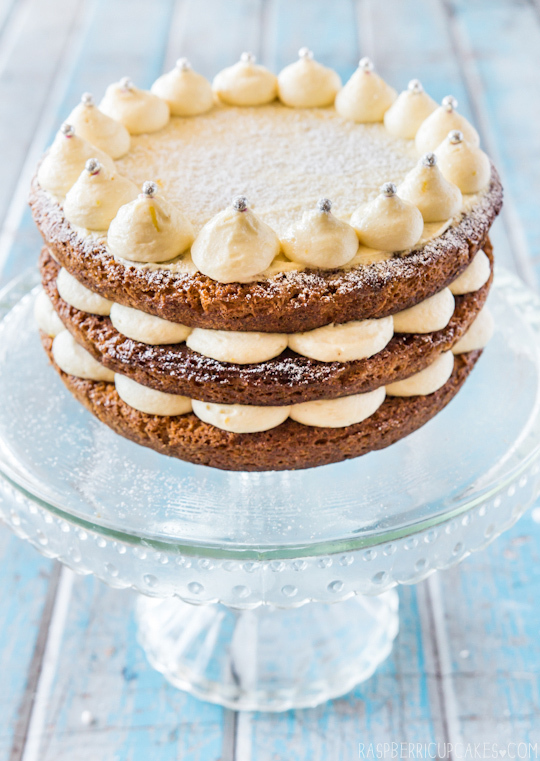 The cake looks lovely and I love using mascarpone instead of cream cheese. Dropping a cake is so horrible, I'm glad you managed to salvage it! It looks beautiful in these photos and I'm sure it tasted amazing too. 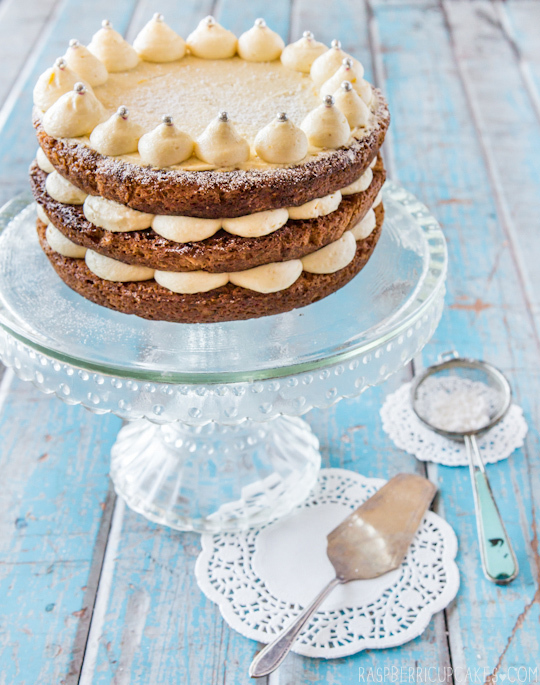 I love the idea of a lemon ginger mascarpone icing! This is so gorgeous! I love the way you frosted it! Oh my god, I cannot believe what happened! At least the thought was there and you managed to save some, it looks so yummy. wow I really love the scalloped effect of the frosting between layers.. will try that next time, beautiful cake!!! The cakes looks amazing. I love carrot cake. I discovered it 2 or 3 years ago, and I bake it every year. That's devastating! 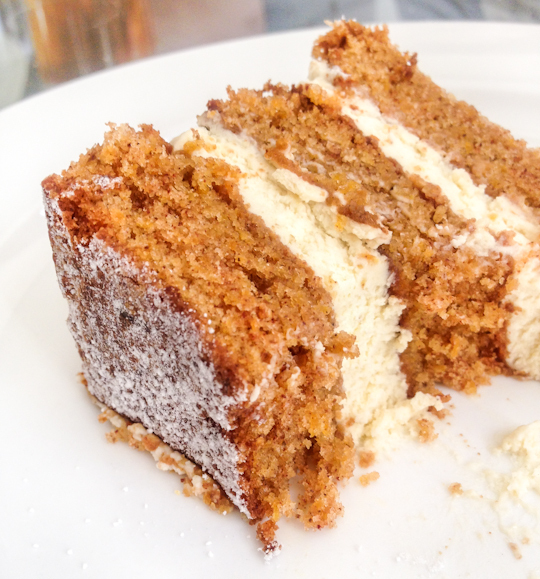 I'm glad you were able to salvage and eat it though, carrot cake is one of my favourites! I usually swap out walnuts for other nuts like pistachios or cashews, just because I like them better. Despite its rather unfortunate incident I think the cake looks wonderful. I'd probably argue for a second one too if I were your mum. Any excuse for cake! It's awesome that you can make light of the situation, what a nightmare! Oh my god, what a disaster! Lucky you were able to salvage some of it at least! I love the way you frosted the cake actually, this cake has been on my mind. Just wondering what difference would it make if I used all mascarpone cheese without the heavy cream? Would it make the frosting heavier and less like a whipped cream? Yes it would make it a love heavier and richer, the cream is there to lighten it and make it nice and fluffy. If you decide to use all macarpone (though I wouldn't recommend it) I would consider adding a lot more lemon to balance out the richness. I absolutely LOVE how you decorated this cake! It's gorgeous, and looks so light and fluffy!